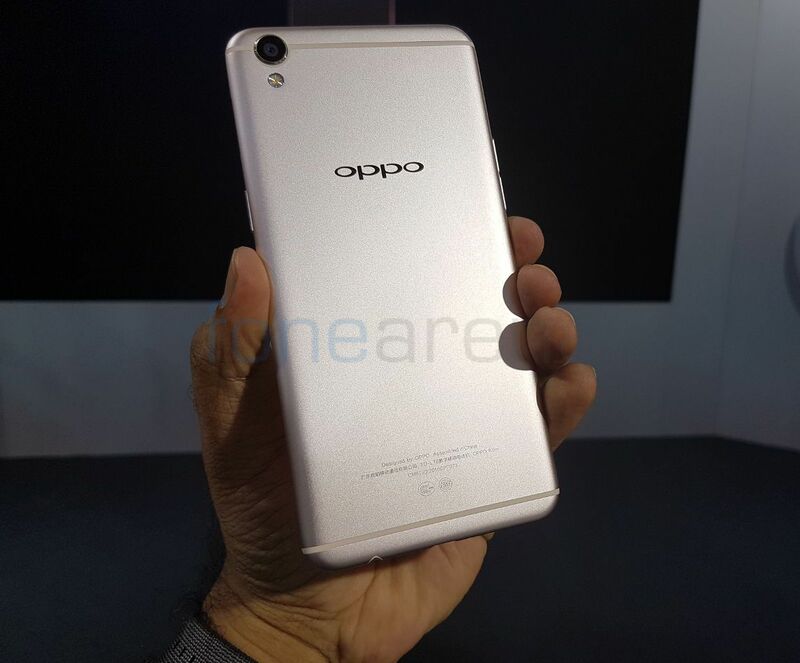 Oppo had announced R9 smartphone in China in March this year. We got a chance to check out the phone at the recent Mobile World Congress in Shanghai. Let’s take a quick look at the specs and hardware of the phone. The Oppo R9 sports a 5.5-inch (1080 x 1920 pixels) Full HD AMOLED display and is powered by an octa-core (4 x 2.0 GHz + 4 x 1.0 GHz) MediaTek Helio P10 (MT6755) processor with 700MHz Mali T860MP2 GPU. 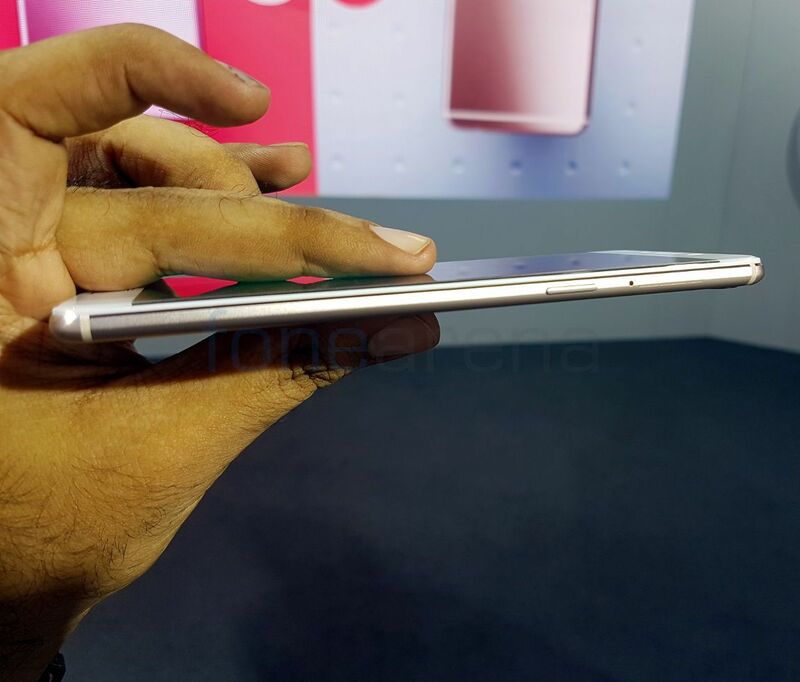 It has a 4GB RAM, 64GB internal memory, expandable memory up to 128GB with microSD. The phone runs Android 5.1.1 (Lollipop) with ColorOS 3.0. It has a 16MP front-facing camera, f/2.0 aperture, 78.1-degree wide-angle lens. Also present at the front are earpiece and usual set of proximity and ambient light sensors. There is a physical button below the display which comes equipped with a fingerprint sensor. 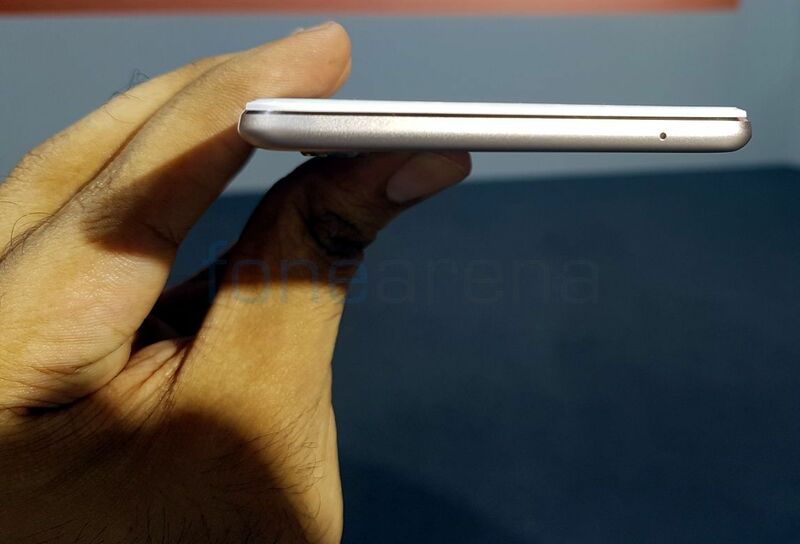 The power/lock switch is present on the right side along with a hybrid Dual SIM (nano + nano/microSD). The left side houses volume rockers. 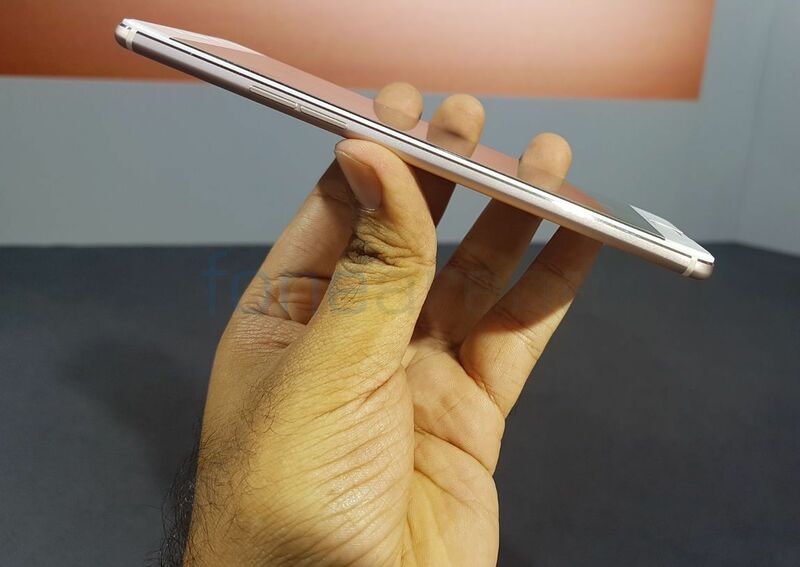 The phone measures 151.8×74.3×6.6mm and weight 145g. You have a microphone at the top. 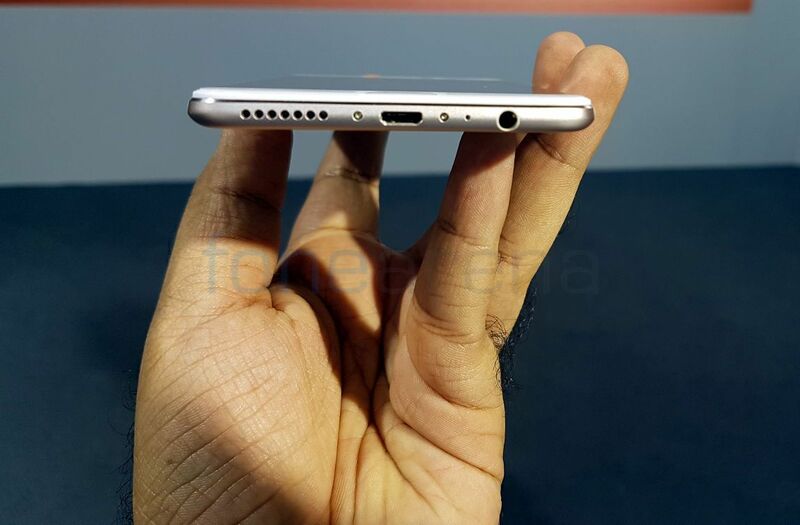 Loudspeaker grills, micro USB and the 3.5mm audio jack is present at the bottom. 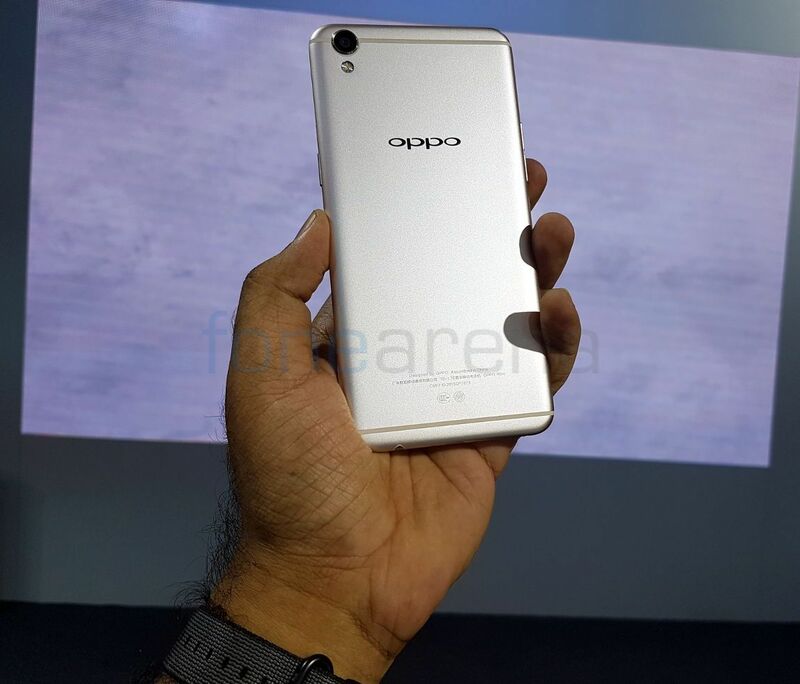 The phone has a unibody metal design with Oppo branding at the back. There are antenna bands at the top and bottom. 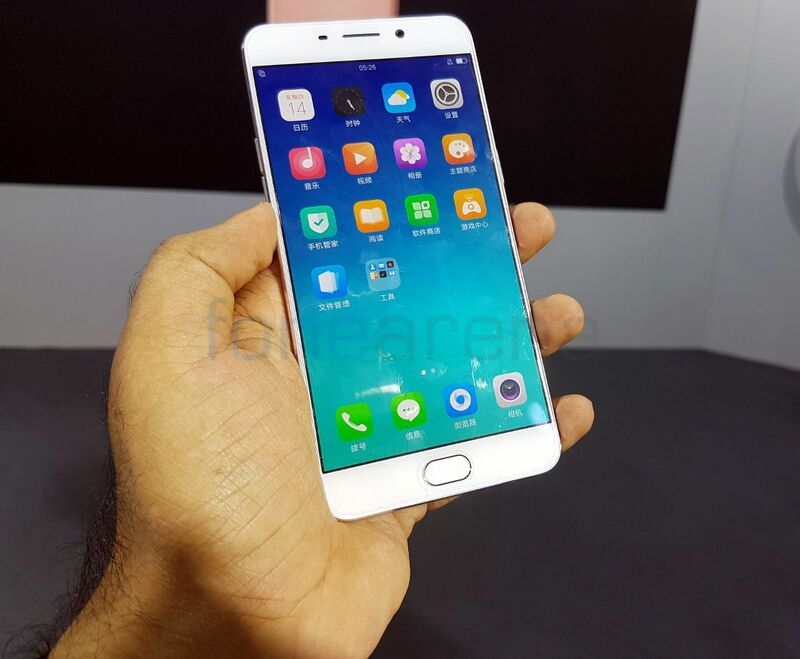 It has a 13MP rear camera with f/2.2 aperture, 5P lens, LED Flash, 80.6-degree wide-angle lens, 4K video recording. Connectivity options on the phone include 4G LTE with VoLTE and WiFi 802.11 a/b/g/n (dual-band). 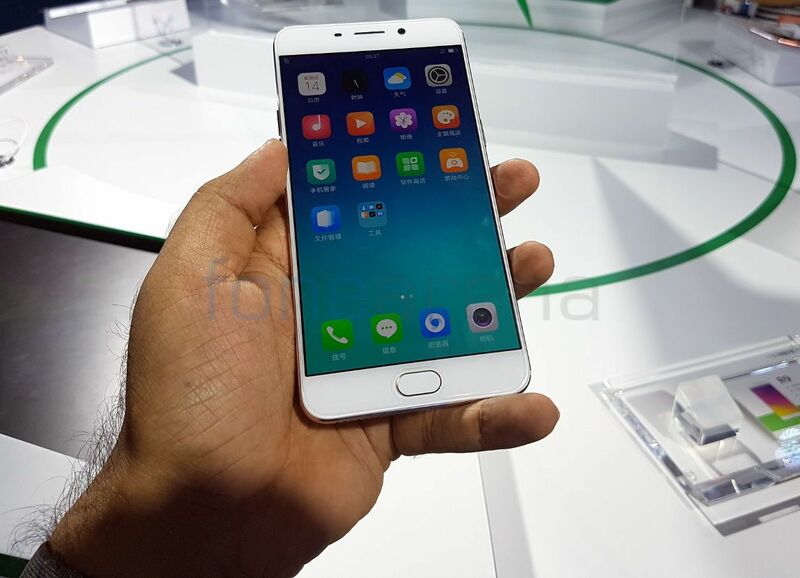 It has a 2850mAh built-in battery with VOOC Flash Charge. The OPPO R9 and R9 Plus come in Rose Gold and Golden colors.